I've always been a bookworm, although for the last few months I never seemed to find the time. Recently I've managed to get back into reading again (I think I kinda owe this to Alex) in my daily life and not just on holiday. You may remember I mentioned that I had just finished reading Ellis Island by Kate Kerrigan. I really enjoyed this book and its not something I would have automatically picked up myself. As reading has always been a big part of my life, I wanted to start doing more book related posts on my blog, so this is going to be my first go at a book review! 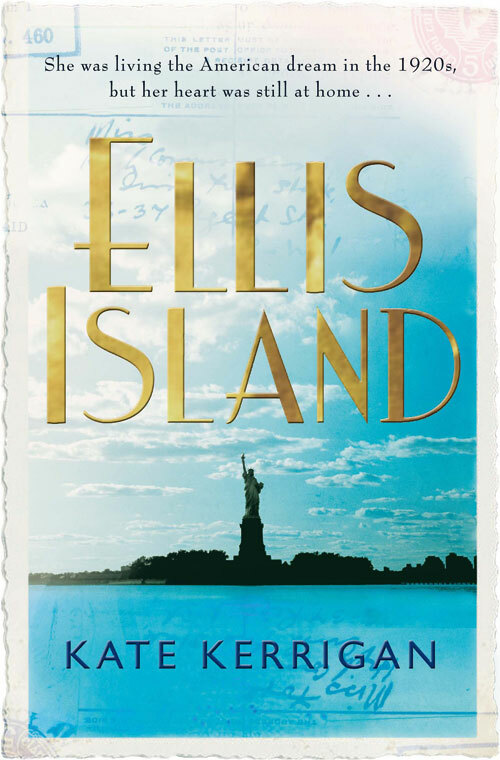 Ellis Island is the story of Ellie Hogan, who goes to America to earn enough money, to pay for her beloved husband's surgery, after he is injured during the Irish Civil War. The story moves from impoverished Ireland, to the wealth and glamour of 1920s New York. I did find this book quite slow to get going - without going into too much detail, the book initially begins by setting the story of how Ellie falls in love with her childhood sweetheart, and it takes some time to progress to Ellie taking the trip to the Big Apple. Once this section of the book begins however, the story moves fairly quickly, and is paced well, to keep the readers interest ,of how Ellie survives America, and its technological advances, but all the while reminding you that her heart and soul remains left behind in Ireland. One of the interesting elements of the book, is the advances in technology, that are well detailed in description ,and the differences in attitudes in America, to those seen in Ireland. The elements of the story set in Ireland remind the reader of the simple things in life, such as love and family, whereas New York, takes the reader to a place of consumerism, indulgence, and the opportunities wealth can bring. Kate Kerrigan contrasts these two elements fantastically, and leave you questioning where your own heart lies - wealth and glamour, or love and simplicity? Despite the slow start, I really enjoyed this book, and couldn't wait to reach the conclusion. I felt the story ended nicely, however, I have recently discovered that Ellis Island is the first book in a trilogy, City of Hope, and the final title Land of Dreams is due for release this Springand I can't wait to get my hands on both! Have you read Ellis Island? Would you consider reading it now? I'm a book geek too, and proud! Always nice to find other bloggers that love the books! Enjoyed reading your review :) I do book reviews on my blog all the time and really love writing them. Thanks Jemm - I'll certianly be taking a look out for your book reviews in future! I haven't heard of this book until now but it sounds amazing! I'm putting it on my Goodreads list :) Found you through your comment from the blog hop. Thanks for following! I hope you enjoy reading it if you get around to reading it!